I’ve been to Chiang Mai three times with a couple more visits lined up. The first time was for a printmaking residency, the second time was for a wedding (I wasn’t getting married fortunately), the third time, at the start of 2017, was to scope out bronze and fibreglass fabrication for an exhibition in Chiang Mai. It’s definitely not a city you need a reason to travel to. I’ve been three times but I’ve spent the majority of the time working on art. I have barely been to any tourist spots, something I normally enjoy; any downtime I’ve had is spent eating, drinking and going for a quick wander (to look for more food). I think it says a lot about the city that I have no desire to visit any of the tourist spots and I keep wanting to come back. However, Chiang Mai does have an abundance of temples, museums and ancient landmarks to keep you busy (refer to the copy of Chiang Mai Lonely Planet you have in your hand). Chiang Mai is like a cheetah that’s ready to pounce but it’s got a turtle on its back. On the surface the city appears slow and easy-going; things take time to get done here. But it’s a city that takes itself seriously and has big ambitions. It’s been pushing itself as the Creative City of Thailand and was once the capital city of the Lan Na Kingdom (1296-1768). The contemporary art scene has been growing as the result of a combination of interest from visiting international curators, young Thai artists looking for a slower pace than Bangkok, senior-career artists setting up their giant studios on the outskirts of the city and new galleries and museums popping up everywhere. There’s a free Art Map, pop into any gallery or bookstore to pick one up. There’s a ton of galleries on the map to keep you busy. Gallery Seescape is an artist-run space and cafe that usually has an interesting show on. It also does a good Western style breakfast and is a nice place to have a rest and a coffee. JoJoKoBe Studios is a screen printing studio and shop that sells a combination of Thai and invited international artists’ screen prints. C.A.P. 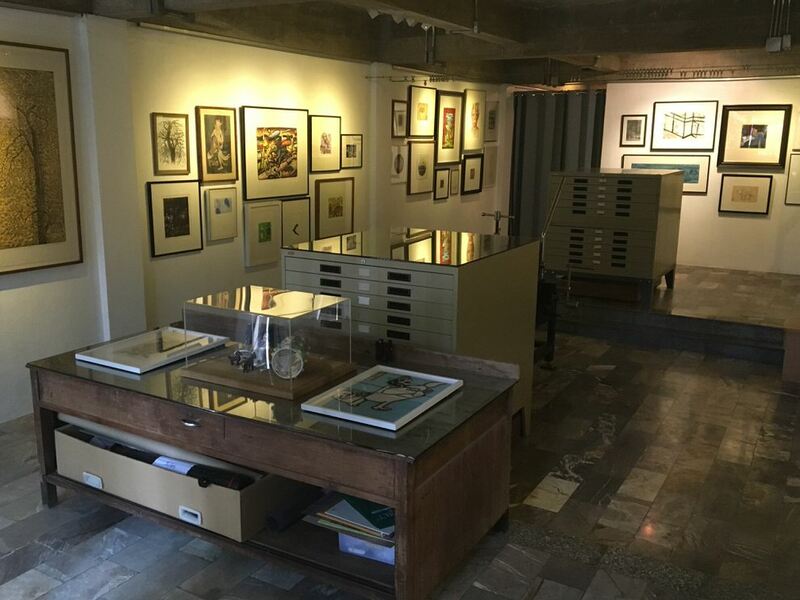 Studio (Chiang Mai Art on Paper) is around the corner, mainly focusing on etchings, but also has lithographs, woodcuts and monoprints. 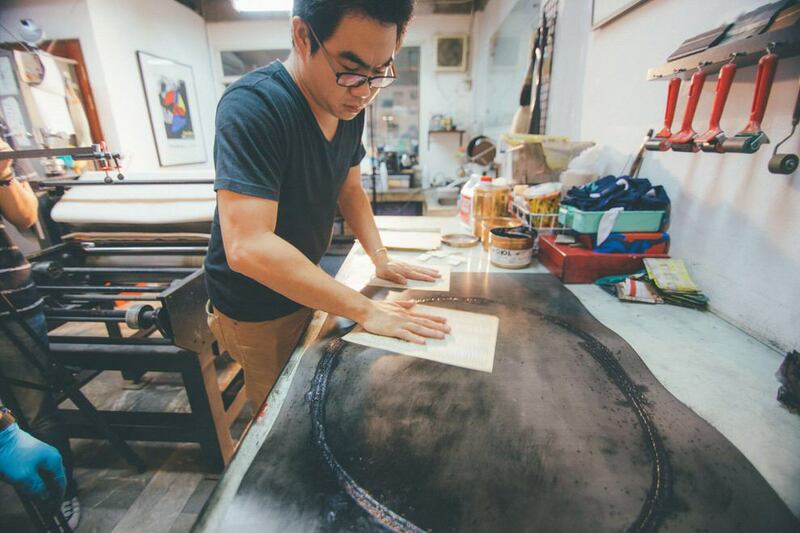 This studio is less an exhibition space and more an invite-only custom printmaking studio. Artists from overseas are invited to do residencies, as are emerging and established Thai artists. Director Kitikong Tilokwattanotai, an established artist himself, started the studio many years ago to foster ties with the international arts community and to push the local printmaking scene further into a contemporary and collaborative practice. Even though it is a workspace, staff are always more than happy to show visitors around the facilities and any sales from prints help keep the studio running. The 31st Century Art Museum of Contemporary Spirit is a project housed in shipping containers by Chiang Mai-based artist Kamin Lertchaiprasert. The museum is a conceptual project that aims to question the nature of art, what contemporary art is and how this all relates to our spirit. There’s a new museum in Chiang Mai called MAIIAM; you should definitely visit. It’s a beautiful building with strips of mirror on the facade and it has hosted a few conceptually amazing shows so far with invited curators. The museum was founded by the Bunnag-Beurdeley family, who have built an impressive collection over the years. Rumour has it another collector-based art museum is opening in December 2017. FOR CURATORS! I bet you never see that phrase. Kittima Chareeprasit is the Assistant Curator at MAIIAM. She also runs the Curators Lab, a hub where visiting curators can meet, collaborate and converse with Thai artists and other Thai curators. What more could you ask for as a curator than an in-depth tour into the studios of emerging and established artists? Kittima recently had a show at Seescape Gallery with Bangkok based artist Tada Hengsapkul. You can hit her up here. Sudsanan has good food and beers; it stands out because it’s housed in an interesting old wooden building and plays live alternative blues, rock and jazz most nights. It is a little out of the city but worth the trip, especially if you’re with a big group looking to eat, drink and listen to live music. Tawan-Dang is a Thai-style nightclub some friends took me to. I am used to the crappy clubs I visited in Sydney as a fresh-faced 18-year-old so this was a wonderful surprise. 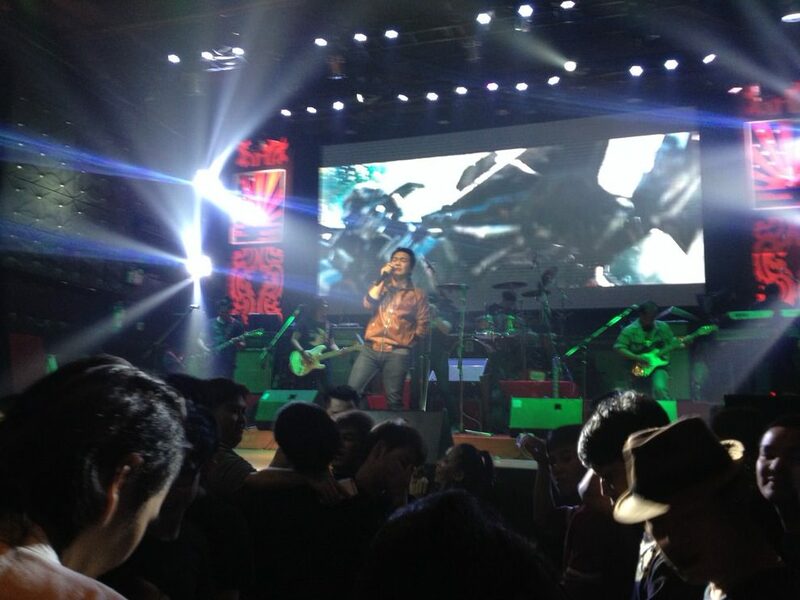 It’s a giant venue with a big band, dancers and singers belting out a variety of Thai pop classics. It felt like a combination club/musical/cabaret/pub/free Jimmy Barnes concert—not a good word combination I know, but how to explain this wonderful creature? You’ll just have to pop in and see. I love food, food is delicious, I love eating everything. I love noodles. Noodles are everywhere! Bahn Mi Nam! Bahn Mi Heng! One means noodles with soup and one means noodles without soup, I forget which is which (don’t take my shoddy advice on the Thai language). Small noodle shops are everywhere, which also serve Khao Soi, a delicious curry-like soup with chicken and both crispy and boiled egg noodles. There are a lot of Japanese restaurants to choose from as well. P’ Jangs is one in particular that’s a nice place to eat and drink. It’s casual dining Japanese food with beers and cocktails and it also doubles as a gallery. The owner is an artist who runs another restaurant in Japan with his brother, but he says the Chiang Mai branch for him is “an artwork, an experiment.” Whatever it is, it’s cool as beans (restaurant doesn’t serve beans, restaurant has edamame). One of my favourite places is a Larb (Lanna-style) Restaurant; the food is a combo of soups and dishes all shared with sticky rice in outdoor raised huts. There is a specialty dish of raw lamb and raw lamb guts. I usually like the various raw meat dishes I’ve had across Asia, which always have a bit of vinegar or lemon squeezed on them. This was really raw and bitter and I was scared I was going to poop myself on the bike ride home. I made it without incident. Ignore those two last sentences, it’s definitely worth coming here. Another favourite is T-Noiy Noodle, an especially spicy noodle shop and popular lunch spot. It’s located behind Chiangmai University and the same street at night is bustling with street food stands (try the fermented sausage!). I can generally handle spicy but I had three bowls and drank all the soup, which was full of chillis and I didn’t feel too hot, good joke, huh. Don’t try to drink all the soup. I’m gonna get a lot of flak for this, but I love visiting malls in different countries. The malls in Chiang Mai all have really great art stores; this just doesn’t happen in Australia so it’s a really nice surprise. If you’re visiting in the increasingly hot summers the mall also has air-conditioning and each one has a few tacky rooftop bars with really great views of the city. MAYA Lifestyle Shopping Centre is one of these, despite the tacky name. I’ve spent a lot of time living in smogged-out cities in China so Thailand feels like fresh air year round, but I’m told the pollution does get bad in the crop-burning season and has been getting worse for different reasons. Consider months other that February-April if you have a respiratory illness, it’s also really hot! 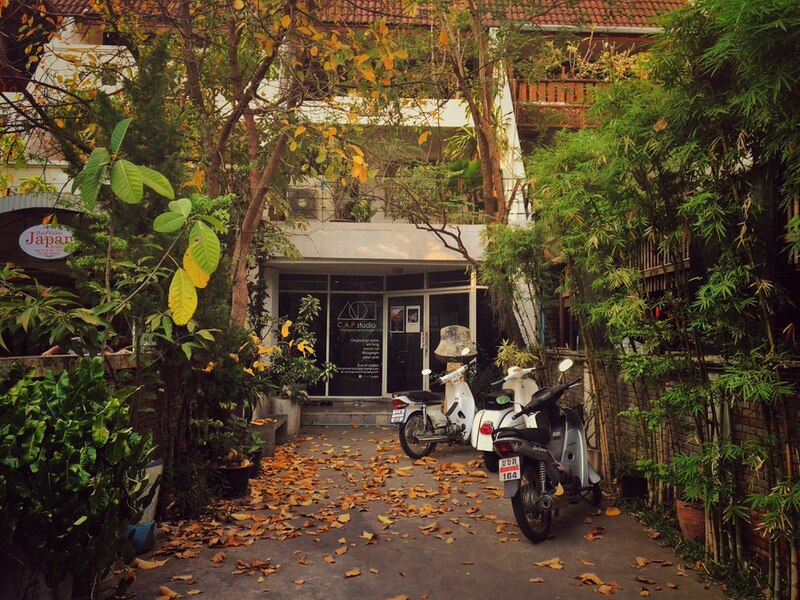 Curators Lab – Sirimangkalajarn road near the Italian embassy. Contact Kittima <waitingyoucuratorlab@gmail.com> beforehand. Larb (Lanna-style) Restaurant – Doesn’t have an address, you’ll have to ask a local but it’s located in Soi Wat Lum-Poung. T-Noiy Noodle – Suthep Road behind Chiangmai University. Jason Phu is a Sydney-based artist, winner of the 2015 Sir John Sulman Prize.